It's the season of love! Lol not really but it's the season of love related manicures at a minimum. Can I tell you I went to Target around the 3rd of January and they already had all the Valentines day paraphernalia out. It was deeply disturbing to me who in general only has awareness of holidays as they relate to nail art and vacation time ;) In any event I'm showing you my first romantic mani of the season. 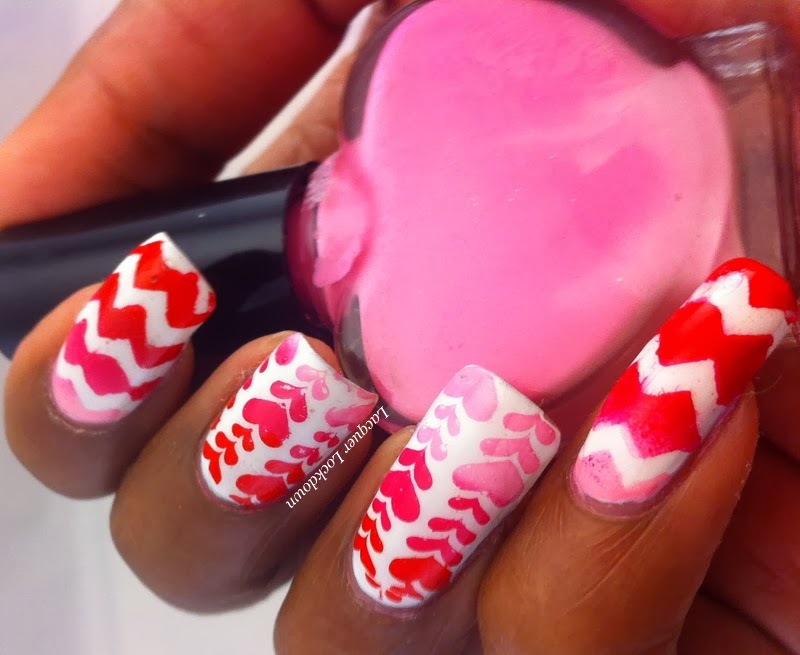 Gradient hearts and chevrons using my new Cici & Sisi Jumbo plates and once again Nail Vinyls. You can check out my review on Cici & Sisi plates here and the Nail Vinyls here. My goal was to create a very "clean" manicure with a gradient that stood out. When I flipped through my Cici & Sisi plates I realized there are a lot of heart/romantic motifs in both sets. 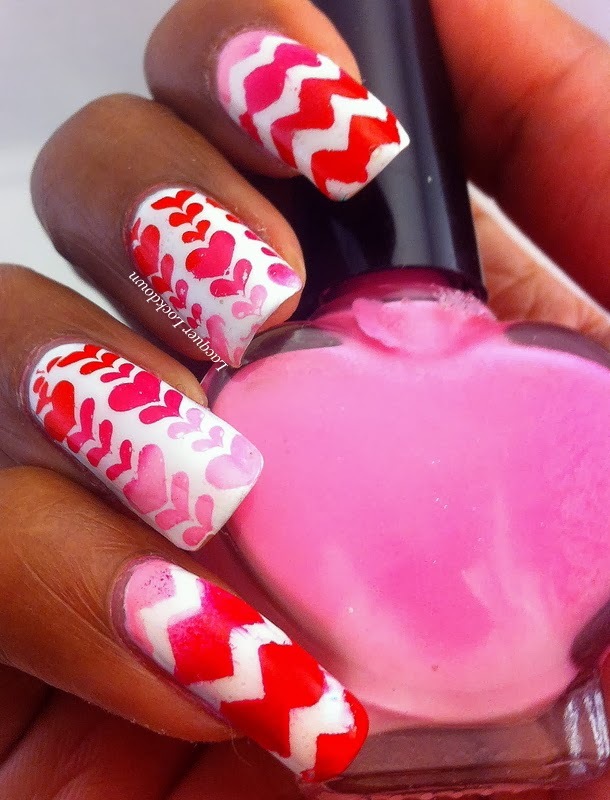 Ultimately I chose the hearts because I wanted to emphasize the bright red to light pink fading of the gradient. I reversed the color fade for the chevrons which the NVs made beyond easy to achieve. So what do you think? This is unquestionably girly and sweet which I think suits the sentiment of the quote above. I have plans to create a few more manis that are a bit more sophisticated and less sweet and of course I have to create something for the broken-hearted lol! I mean really not everyone loves Valentines day. I do but only because I don't have to conceal my lust for all things dark chocolate and wine related. Lol plus lots of great cosmetic items pop up around this time! Is it wrong that I keep having a fantasy regarding dark covered chocolate strawberries and crisp citrusy champagne oh and a steaming bubble bath? Ugh the luxury! I think my reasons might be a little sketchy but hey to each their own. Thanks so much for reading and see you next post!